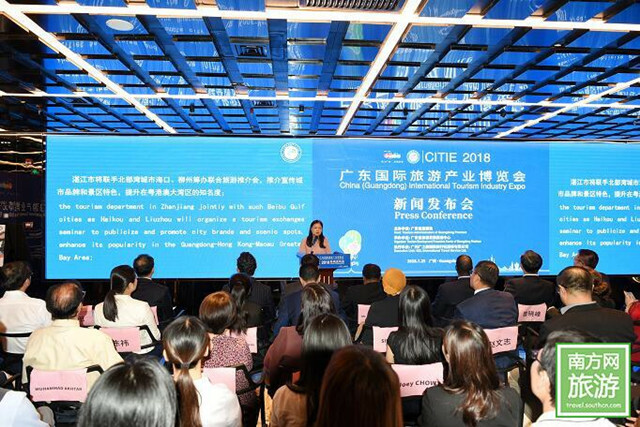 The press conference for the 2018 China (Guangdong) International Tourism Industry Expo (CITIE 2018) was held in Guangzhou on July 25, attended by 120 representatives of 22 consulates in Guangzhou and enterprises from the tourism industry. 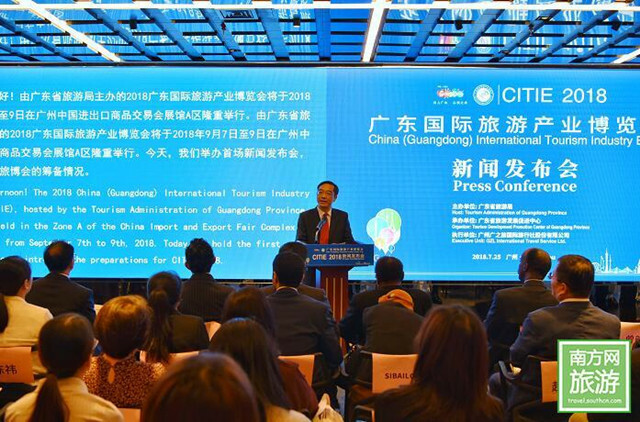 According to Zeng Xiaofeng, deputy director of the Tourism Administration of Guangdong Province, CITIE 2018 will be held in Zone A of the China Import and Export Fair Complex from September 7 to 9. The three-day event, with an area of 100,000 square meters, will feature 10 thematic exhibition halls to display new business types and innovations in the tourism industry and foster new avenues for tourist consumption. During the expo, the popular Mass Tourism Outlet will still be held so that citizens can purchase popular domestic and international travel products and packages. One of the highlights of the expo will be an online tourism exhibition initiated by major tourism agencies allowing citizens to choose tourism products without leaving home.